Currently celebrating its 20th birthday year, Aviation Job Search began as a small venture, until it was taken over by the Simply Jobs Boards group in 2003. Since joining the Simply Jobs Boards group, Dave Capper has expanded the business worldwide, particularly in areas such as Europe and the Middle East. The site currently boasts over 620,000 registered candidates, and an impressive list of clients who use the site regularly to recruit. 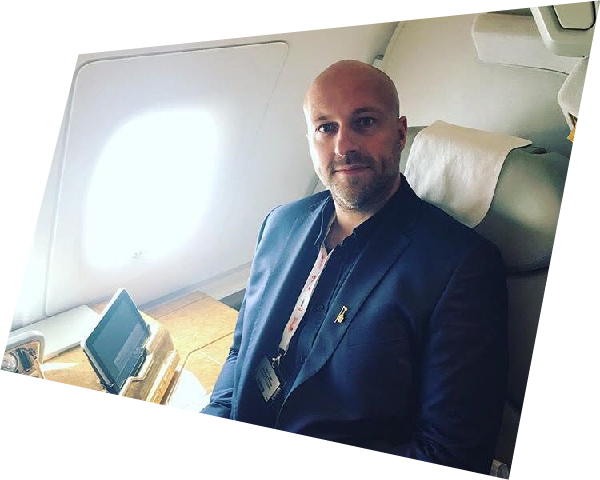 Dave Capper has over 15 years experience working in the recruitment industry and is well recognised for delivering results and driving business success. Europe’s largest event dedicated to Flight Crew Recruitment and Training will take place in Berlin Messe on February 22-23, 2019. Two intensive days of conferences, exhibitions, recruitment process and fun.